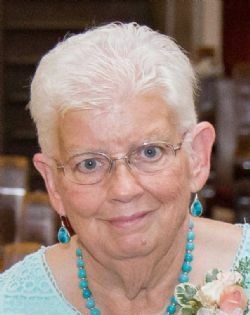 Karolyn G. Pepper, 71, of Amarillo passed away Tuesday, August 14, 2018. Funeral Services will be at 2:00 p.m. Thursday, August 23, 2018 at Paramount Baptist Church. Karolyn was born September 26, 1946 to Oliver Boyd and Sara Louise Gowder in Alabama. Karolyn enjoyed sewing and making assorted keepsakes for her beloved family. She loved caring for her grandchildren and great-grandchildren always interested in what was going on with all of our clan and a reliable source of wisdom in their time of need. Karolyn loved to cheer on her Auburn Tigers and her Atlanta Braves. She will be dearly missed by all who knew and loved her. Karolyn will be remembered as a loving mom and Nannie. She was preceded in death by her parents; husband, Rufus Pepper; brother, Jim Gowder and daughter-in-law, Karolyn J. Pepper. Karolyn is survived by daughters, Tammy Wretlind and husband Jonathan and Dawn Jones and husband Jerry; son, David Pepper; 13 grandchildren and 4 great-grandchildren.